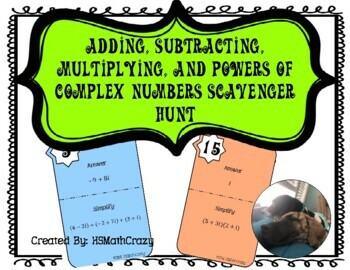 This scavenger hunt contains 16 problems to practice complex operations. 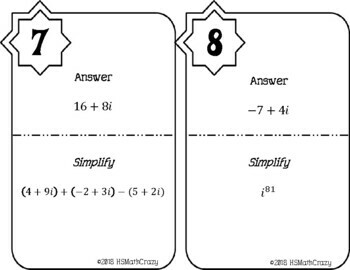 The problems are a mix of cycles of i, adding, subtracting, and multiplying. 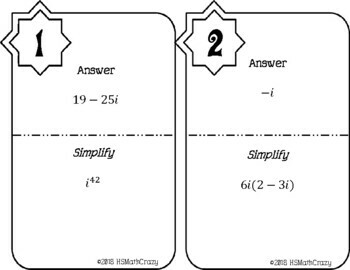 This activity is a great way to get students moving around the classroom while practicing mathematics. 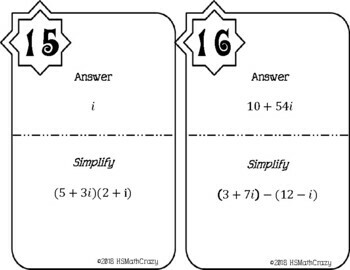 The activity contains the 16 problems, instructions, a key, and a student answer sheet. Need more? Check out my Complex Numbers Bundle. If you like this activity, please consider following my store and checking out other products. I would love to hear your feed-back in your review.